UK prime minister David Cameron vowed to rid football of racism during an anti-discrimination summit held at Downing Street recently. “What happens on the field influences what happens off the field. You see children as young as six imitating the behavior they see,” Cameron added. The summit was organized in response to growing concerns that racist elements are creeping back into the game and in light of recent high profile cases such as those of Luis Suarez and Patrice Evra, John Terry’s alleged abuse of Anton Ferdinand and just recently that of Manchester City’s racism claim against FC Porto fans. As with previous issues of this gravity, the Gazette fully supports any attempts to stamp out negative elements in sport such as hooliganism, racism, discrimination, corruption and ‘simulation’. However, authorities must be careful not to be blinkered by a ‘zero tolerance’ attitude towards these problems. Take the ‘handshake’ incident between United’s Suarez and Liverpool’s Evra. 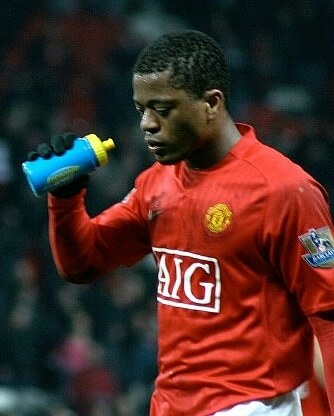 Coverage and reports indicate that Suarez refused to shake Evra’s hand. But a closer look at the encounter suggests that it was Evra who had second thoughts about taking the Liverpool player’s hand which caused Suarez to bypass Evra. United’s Rio Ferdinand subsequently refused to shake the hand of Suarez. Is this another version of simulation that is skulking into the sport? Basically, simulation is faking a foul in order to deceive the official into awarding a free kick or penalty, and for many pundits Evra’s feign and reaction was tantamount to this distasteful act. Evra’s shameful celebratory parade in front of Suarez at the end of the game brought as much disrepute to him, his club, his nation and the sport as Suarez’s racist abuse of the Frenchman. It seemed a very unusual way to emphasize his tortured ethnicity. Cameron is fearful that children will ape players’ racism attitudes, but as dangerous is the negative retaliatory and inflammatory actions of these individuals whom youngsters foolishly see as role models. Will Ferdinand or Evra be penalized for their blatant petulance? These problems need to be stamped out, but let’s be wary that good judgement and fairness are not crushed by the same boot.